The Colorado Teen Driving Alliance (CTDA) has created a new resource to reach parents with the powerful message that they can limit their teen’s risks while driving by enforcing safe driving practices, and we need your help getting this resource into the hands of parents. Teens who say their parents set rules and monitor their driving behavior in a supportive way are 50 percent less likely to crash and 70 percent less likely to drive intoxicated. As a part of Distracted Driving and Alcohol Awareness Months, the CTDA is promoting the online parent course that provides step-by-step instruction on how parents can support their teens through Colorado’s Graduated Driver Licensing (GDL) laws, which are designed to phase-in beginning drivers. This course was prompted by a recent Colorado Department for Health and the Environment survey of over 700 parents of teens throughout Colorado that showed only 6.4 percent of parents could accurately identify each component of graduated driver licensing laws, including limits on distractions like passengers and cell phones, curfews and seat belt requirements. Teaching teens to drive can be a daunting process, but the best way to put parents at ease is to give them the educational tools they need to understand the process of getting a license and the specific restrictions for teen drivers. 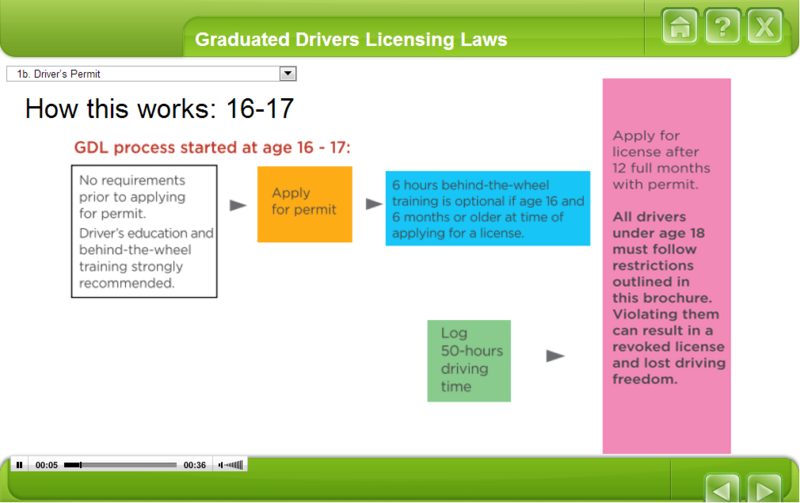 Send the parents or guardians of teens that you know to COTeenDriver.com to learn more about Colorado’s graduated driving licensing laws and to access the online parent course.